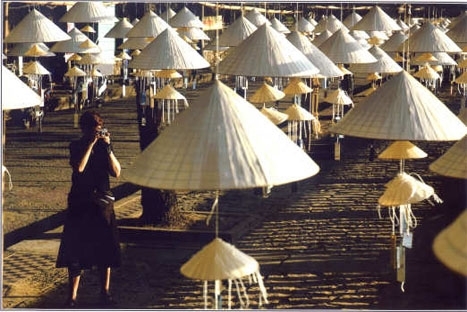 The best of central Vietnam package tour 7 days 6 nights , discovery The World Heritage site from the former Royal Capital of Hue, to the ancient port town of Hoi An and the Cham ruins of My Son, Phong Nha Ke Bang the National Park exploring central Vietnam is a truly contrasting journey. Immerse yourself in the rich culture of Vietnam, as you visit these three destinations boasting UNESCO World Heritage status. You will have chance to travel along the Central of Vietnam to visit three World Heritage Sites: Hue Imperial Citadel, Phong Nha Caves and Hoi an ancient town. Also, you will visit the traditional handicraft villages in Hoi an, do their local work and explore the daily life of local people here. 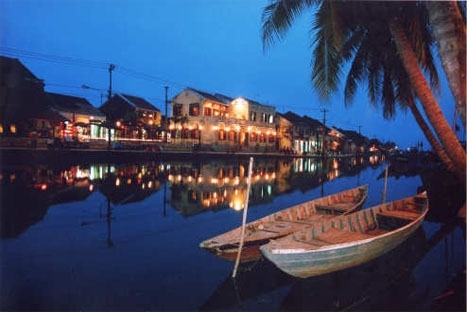 During this tour, you can taste the royal dishes of Hue and specialties in Hoi an ancient town. Arrive in Danang airport and transfer to Hoi An Ancient Town. Check in, free at leisure for the rest of day and overnight in Hoi An. Breakfast at your hotel, 0800 departure from Hue. Drive North and stop at La Vang Cathedral (which despite its years of turmoil remains an important pilgrimage site for Vietnam's Catholics). Carry on to what is left of Quang Tri Citadel, where in 1972 a fierce battle raged for 81 days, visit the museum where photographs, war remnants and artillery can be seen. Continue up the Highway 1 across the Hien Luong Bridge ( 17th parallel ), and over the Ben Hai River which demarcated North and South Vietnam, this area saw some of the heaviest fighting during the war, continue drive to Truong Son National Cemetery where the remains of some 15,000 Vietnamese soldiers and civilians have been laid to rest, many tombstones bear no name. Have a picnic lunch en route. Next, visit Vinh Moc village which has approximately 2.8 km of underground tunnels used as a refuge to survive the bombings, there are three hundred people lived intermittently in the tunnels from 1966 to 1971. After breakfast, depart for Phong Nha National Park which is around 50 km from Dong Hoi. On arrival board, your private boat for the 1.5 km cruise down the Son river to the mouth of the cave. Pass by the entrance to the 'Cave of Teeth and Wind' and enter the mystical tunnels, filled with giant stalactites and stalagmites and crystal clear waters. Phong Nha-Ke Bang National Park is one of the world's two largest limestone regions and is the oldest major karst in Asia. From Phong Nha, take golf cart to Paradise cave – the longest dry cave in Asia, found in 2005 the cave is 31 km long and the height can reach to 100 m and 150 wide .